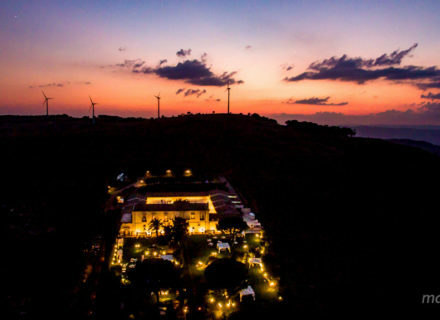 Acireale Destination Wedding Sicily- Kelly and James live in Qatar, but they chose the sunny Sicily and especially Acireale, the bride’s beloved hometown, rich in culture and breathtaking baroque churches. 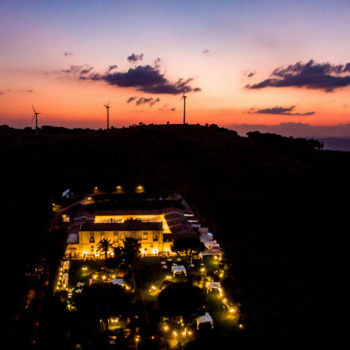 The groom just loved the idea of an english wedding in Sicily. Kelly got ready in her family country-house with her beautiful bridesmaids, wearing elegant, blue long gowns. Camemi Castle Wedding – This wedding day was perfection. A beautiful venue, an outdoor ceremony and a gorgeous lovely couple. This Wedding at the Camemi Castle was a dream come true for Ryan and Charlotte! It was a corner of true paradise: a hill overlooking the amazing Sicilian countryside. 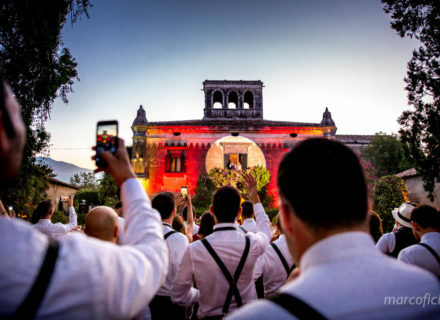 Castle wedding godfather – Ghida and Melhelm have chosen the antique Castle of the Slaves, not very far from the beautiful town of Taormina, as the perfect place to celebrate their Big Day! The wedding day of Ghida and Melhelm, originally from Lebanon, has been planned in every single aspect and detail, from the ceremony location: a hidden corner of paradise. Garden Ceremony Taormina – Palazzo Duchi di Santo Stefano. 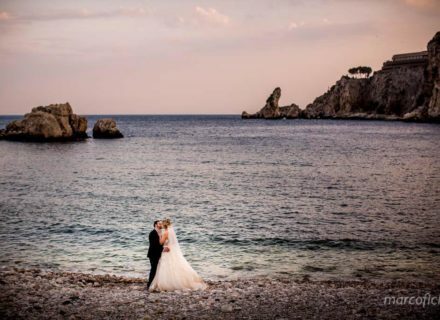 Renate and Moa are from Norway, but they are both in love with Sicily, so they chose Taormina as the perfect place to celebrate their Big Day. They got married outside the antique Palazzo Duchi di Santo Stefano, in order to enjoy the beautiful garden around them. 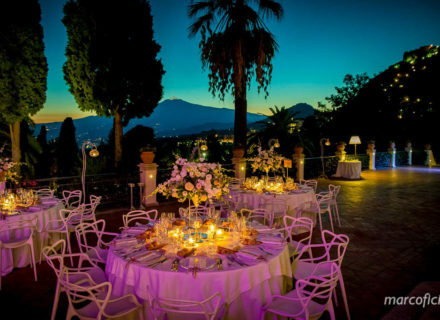 Belmond Timeo Wedding – Taormina. 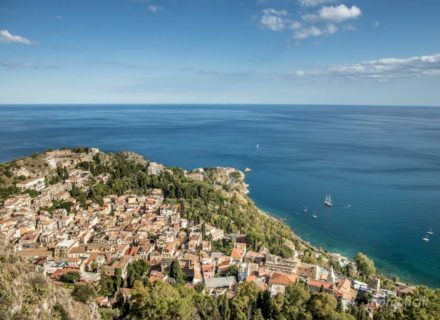 Eleonora and Livio are in love with Taormina, an antique and charming little town. Moreover, Livio has his roots into the wonderful land of Sicily! They couldn’t choose a better place for their wedding day. Eleonora and Livio got ready in the magnificent Grand Hotel Timeo, a glamorous luxury hotel in the heart of Taormina, a corner of paradise nestled near the Greek Theater. Lauren and Andrea were utterly seduced by the beauty of Taormina, set within the wonderful Mediterranean Sea. When they laid eyes on the Hotel La Plage, they knew this was the place they were to celebrate their wedding. 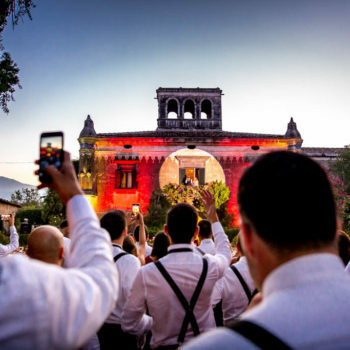 The couple wed in a charming church in Taormina, Church of St. Pancrazio, fulfilling their dream of a true Italian ceremony and then they were whisked away to enjoy their stunning surroundings. 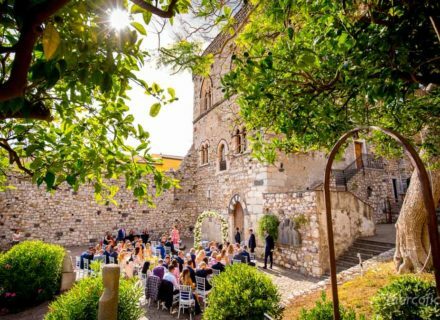 Wedding Madonna della Rocca Taormina – Antonio and Selena chose the Sanctuary of Madonna della Rocca with its gorgeous view of Taormina, to get married. A corner of true paradise. Selena got ready with her family and friends, and once she got dressed with her white and elegant wedding dress, she looked as the most beautiful bride ever! English Wedding Taormina – A gorgeous wedding day for Katie and Nicholas! 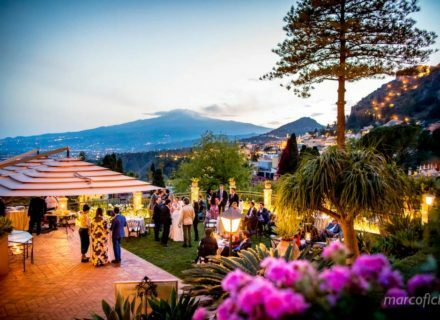 They chose Taormina and its gorgeous Grand Hotel Timeo to celebrate their English Wedding Day with family and friends. Katie got ready in one of the luxury rooms of the Grand Hotel Timeo, toghether with her lovely family, while Nicholas was walking down to the ceremony location with his groomsmen. They were amazing in their hipster suits! Villa Mon Repos Wedding – Giuseppe and Paola were utterly seduced by the beauty of Villa Mon Repos in Taormina and they have also chosen the picturesque, antique little Church of Varo’, hidden amongst the alleys of Taormina, to celebrate their Sicilian Wedding. Paola got ready in the luxury rooms of Villa Mon Repos. She chose a stunning white silky gown with beautiful intricate beading embellishment extending onto the back of the gown. 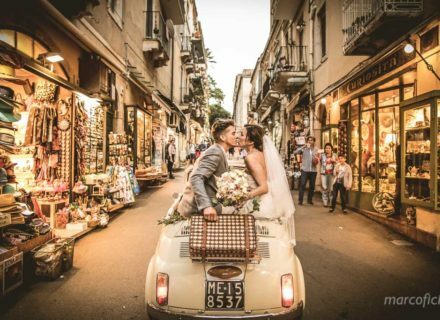 Wedding Catania – An unforgettable day! Bianca and Tore. Wedding Catania – Bianca and Tore were utterly seduced by the magnificent Church of San Giuliano, an elegant example of Sicilian baroque in the antique centre of Catania. Bianca got ready in one of the luxury rooms of the Baia Verde Hotel, a gorgeous hotel overlooking the Cyclops sea, on the way from Catania to the lovely little town of Acicastello. 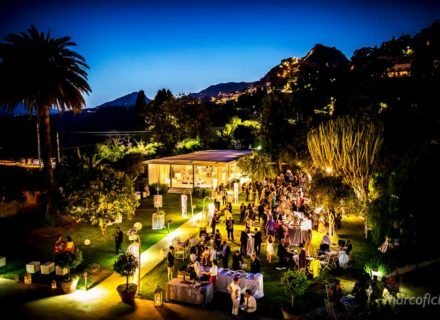 Summer Wedding – Ufficialmente all’inizio dell’estate manca ancora un pochino, quindi siamo in tempo per darvi qualche consiglio per organizzare un matrimonio estivo con stile! 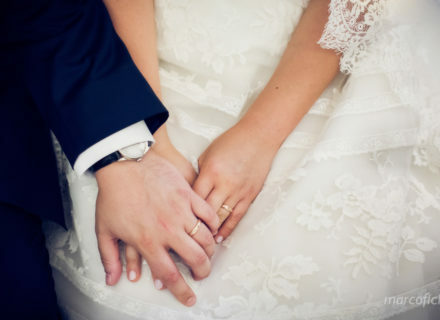 Dimenticate i soliti temi e date sfogo alla vostra fantasia: l’estate, infatti, sbottona anche i colletti più rigidi e concede agli sposi libertà e freschezza, con idee più difficili da realizzare in location al chiuso. Una cena e una festa alla luce di infinite candele, di forme e grandezze diverse, composizioni floreali ricche e colorate, lanterne appese qua e là sono gli ingredienti per un matrimonio estivo all’insegna del romanticismo. 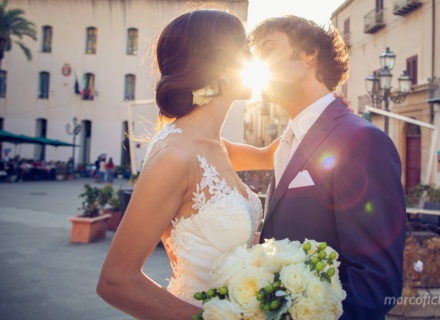 Cefalu Wedding – Sergio and Mariapina were utterly seduced by the beauty of Cefalù, set within the wonderful seaside, just a few miles from Palermo. When they laid eyes on the Villa Rosa in Bagheria, they knew this was the place they were to celebrate their wedding. The couple wed in a charming church in Cefalù, Chiesa del Purgatorio, fulfilling their dream of a true Sicilian ceremony.